Have you ever wondered why and how flatulence occurs? Most of us, and even some scientists, think that fart gas is produced within our intestines, and that gas comes from many different sources, including gas produced by chemical reactions in our intestines, and gas produced by bacteria. But it appears that there is more to it than that. Things like shaking or bouncing one's leg repeatedly while sitting down, biting nails, playing with one's hair, fingers, or items of clothing, are considered habitual behaviors. But did you know that these habitual behaviors especially routines of behavior that tend to occur subconsciously, or fidgeting, can be of one of the reasons why fart gas occurs? Yes, it's surprising, but true. According to medical researchers, these negative habitual behaviors can cause fart gas to be produced and even belching or burp. These can also cause various physical problems such as knee pain, lower back pain, headache, stiff neck, dizziness, shortness of breath, and poor vision. If fidgeting or other similar habitual behaviors can cause many health problems, then you may want to know what that habit is so you can stop doing it before it's too late. 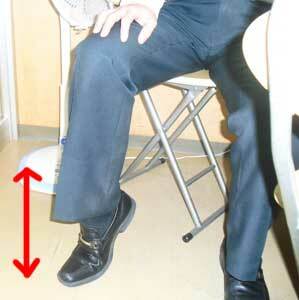 A person bouncing or jiggling his leg up and down repeatedly and unconsciously while sitting. What is the mysterious relation between habitual behaviors and health problems? Most people think that these habitual behaviors do not pose any harm, thus, they do not do anything to stop that habit. However, recent studies suggest that these habits do not only cause flatulence, or stiff neck, but also other unexpected symptoms like vomiting for no apparent reason. Have you ever experienced unpleasant symptoms throughout your body such as stomach pain, dizziness, neck pain, headache, burping, stiff shoulder, jaw pain, poor vision, and difficulty in breathing, without obvious cause? Beware of these mysterious symptoms as these might be due to your habit. It is interesting to note that a lot of people clench their teeth when exerting some type of force or concentration. Clenching your teeth can make the other muscles of your body stronger. This is similar to when you grip the weights or handles harder in a gym. The other way to say this is that muscle A becomes stronger if you contract muscle B at the same time. Now the question is, "Is it bad to clench your teeth?" The answer depends on how long you clench your teeth or jaw. Our finding shows that gritting or clenching your teeth for a long period of time weakens your other muscle groups significantly, resulting to blurred vision, weak concentration, and weaker muscle activity. We also found that various mysterious symptoms of the body begin to appear because of teeth clenching. Usually, you do not clench your teeth while you are asleep. However, if you wake up with headache or acute pain, you may be clenching or grinding your teeth at night. 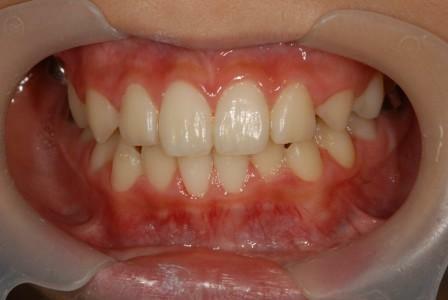 In fact, many people are not aware that they are suffering from involuntary teeth clenching during sleep. This disorder is known as "bruxism". Whenever you exert some type of force or mental concentration, the natural reaction is to clench your teeth or jaw. It's a natural part of the human 'fight' instinct. By doing so, the strength of the muscle contraction around your body is increased–but for only 30 seconds. This is because by clenching your teeth, your body triggers the release of performance-sapping hormones (cortisol) and lactic acid. Plus, the airflow through your throat will be restricted. Your overall strength, power, and speed will start to diminish. Eventually, clenching your teeth continuously will result to "muscle fatigue". In other words, constant clenching of teeth can lead to headaches, chin ache, waste pain, stiff shoulders, knee pain, neck pain, vertigo, tinnitus, and poor vision, due to muscle fatigue. Aside from these symptoms, teeth clenching, including bruxism, interferes with the flow of saliva, causing it to accumulate in the mouth. This makes you swallow the saliva more often and inhale a lot of excess air. This will cause belching or fart gas to occur. It is therefore very important, to break your habit of teeth clenching. Write a reminder on a piece of paper, and place it in front of your computer, on your desk, or in your other workplaces. 1. "How You Can Reduce Foul Odor and Frequency of Flatulence"